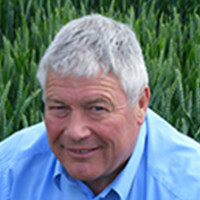 The standard seed rate of 350 seeds/m² appears to be the ideal seed rate for many of the spring barley varieties when good seedbeds and growing conditions are conducive to quick plant emergence, states Ron Granger, Limagrain UK’s arable technical manager. This season is no different, as growers should be patient and delay drilling, until good seed beds with warming soil temperatures ensure quick plant establishment – spring growing crops do not like growth checks. However he points out that seed rates for spring barley, as for many cereal crops is not an exact science and will need adjusting depending on drilling date, tillering capacity, soil conditions, weather forecast, pest activity and most importantly growers knowledge from previous experience. “It’s necessary to keep testing these new high yielding lines to ensure that historic agronomic inputs are still relevant in today’s climate, especially when we know that many of the new spring barley varieties have significantly increased yield potential over the last six years.